My five year old daughter loved Ralph Breaks the Internet. I’ll admit I even chuckled quite a few times at the animated sequel to the 2012 movie Wreck-It Ralph. But afterwards I wanted to wash my hands. I had failed as a parent by letting my kid see this movie. Imagine if in Walt Disney’s 1951 version of Alice in Wonderland instead of meeting The Cheshire Cat and The Mad Hatter, Alice met The Marlboro Man and Joe Camel and the moral of the story was to smoke them if you got them. You’d never let your impressionable kids watch that movie again, right? That’s as close to a parallel for the crass commercialism and shoddy messaging Ralph Breaks the Internet inflicts upon our children. The plot involves Wreck-It Ralph and Vanellope von Schweetz, two conscious video game characters who decide to transport themselves into the internet to find a replacement part from their arcade console. I was fine with the corporate synergy of the movie. I understand 21st century children movies are basically two hour commercials for merchandise. It was even kind of cool to see all the characters the Disney conglomerate owns on one screen. All the Disney Princesses, Star Wars Storm Troopers, and even Stan Lee are in animated form interacting with Wreck-It Ralph. What wasn’t cool was that the movie also served as a giant advertisement for how wonderful all these massive Internet companies like Facebook, Google, and especially eBay (who definitely got their money’s worth in product placement as Ralph has to go through eBay to buy the arcade’s replacement part) are. Study after study has shown the internet and especially social media has an addictive and negative effect on the human psyche. To have a children’s movie where a major plot point is that the characters get as many Likes as they can isn’t a knowing wink to parents, its subliminal messaging to children. Young children already spend enough time on the web watching videos of people unwrapping presents. They don’t need a Disney movie to further indoctrinate them that the internet and all these great websites like Amazon and Uber are the fun place to be. If the next generation decides to voluntarily download the internet into their cerebral cortex, this movie will have done its job. 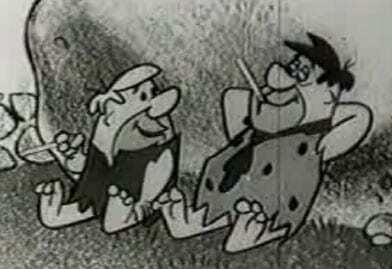 But hopefully in 20 years we’ll look back at Ralph Breaks the Internet and shake our heads just as we do now that Fred Flintstone used to sell cigarettes.